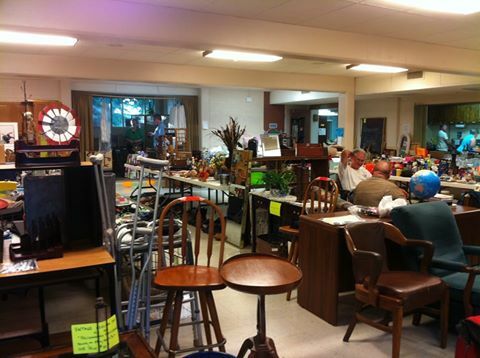 UUCQC's Rummage Sale has been a must-stop sale for Quad Citians for nearly as long as any of us can remember. Nearly 90 years! There are always great treasures to find in our lower level, which, for a weekend, becomes a treasure trove of precious cast-offs. You'll find a wide array of children's clothes and toys, housewares, jewelry, appliances, electronic equipment and more. 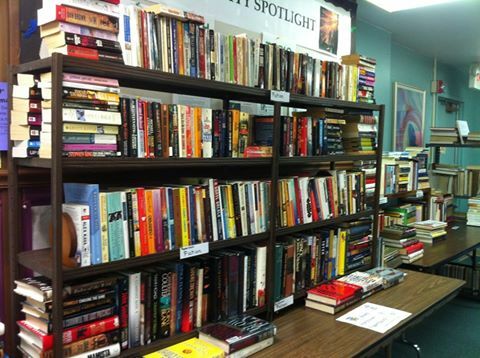 All at very reasonable prices, even for a rummage sale! This is truly a congregation-wide fun- and fund-raising event. Enjoy organizing “stuff”? Like working with others to organize everyone’s no-longer-needed/donated valuables and cast-offs? Want to take part in the camaraderie with your fellow congregants - join in the laughs and fun? The annual rummage sale offers you, not only the opportunity to clean out your own rummage, but to to see all the items, pre-sale. If you'd like to help, call the congregation's office at the number in the header for more information. Show up anytime during the week before to help organize, on Saturday to help with the sale, or on Sunday afternoon to clean up. Interested in joining the Rummage Sale team? Click here for more information. Are Members Required to Give?When Do I Give?